Photos by T.R. 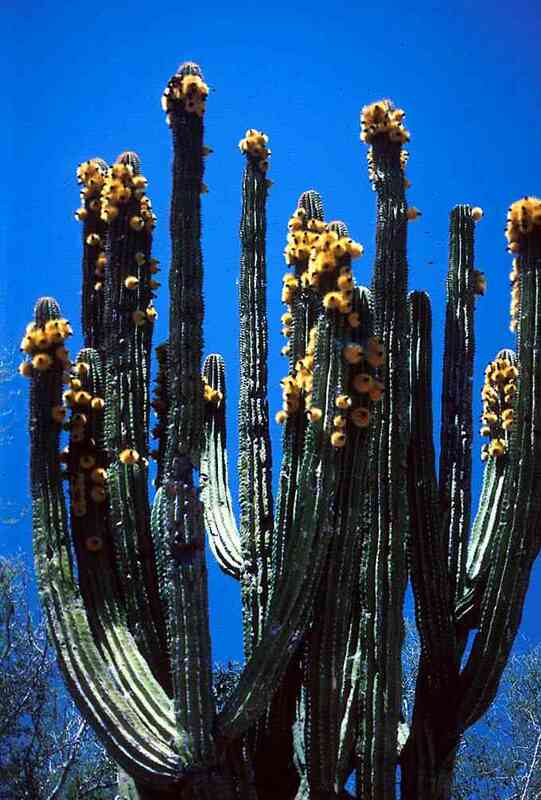 Van Devender unless otherwise credited. 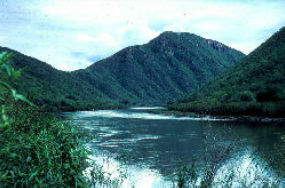 Río Yaqui near Soyopa, in tropical deciduous forest. 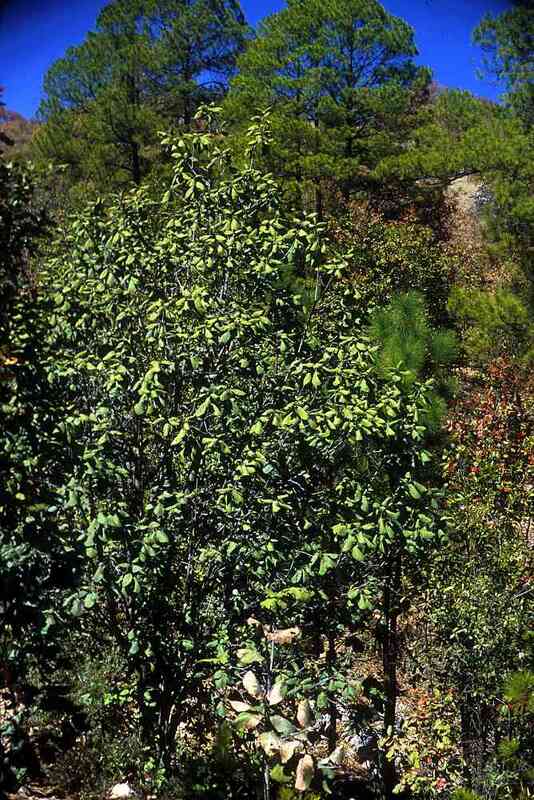 Foothills thornscrub at 500 m elevation near Curea. 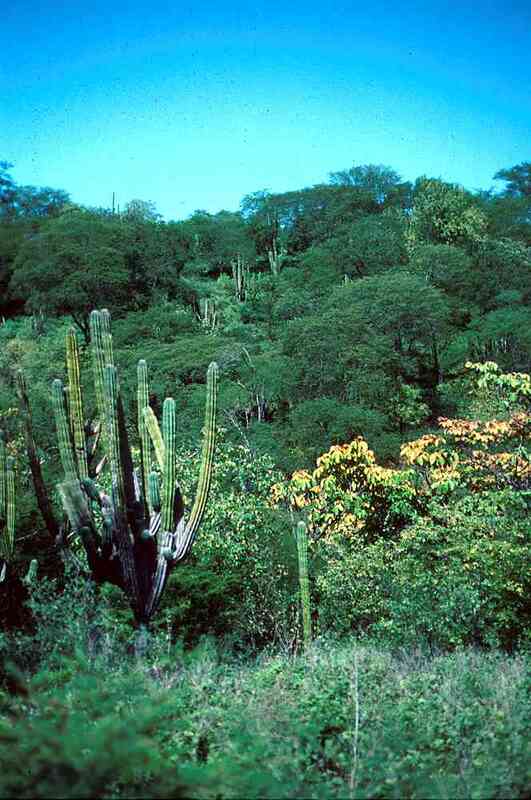 Tropical deciduous forests near Alamos, wet season. 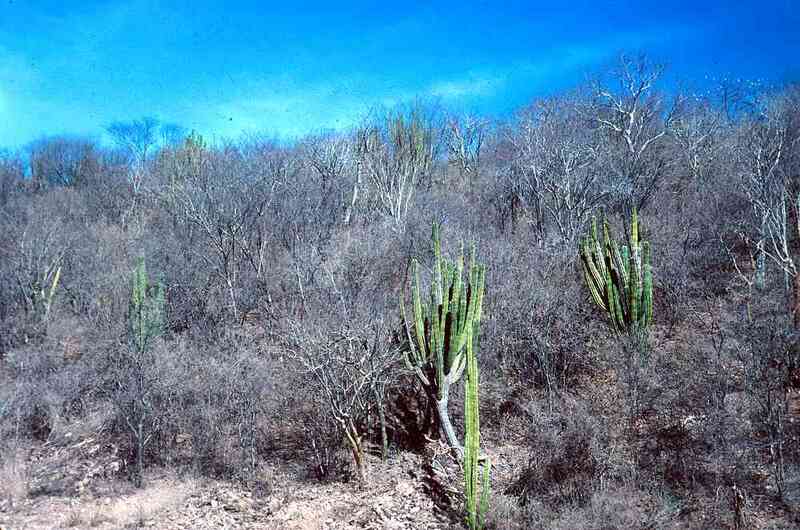 Tropical deciduous forest near Alamos, dry season. 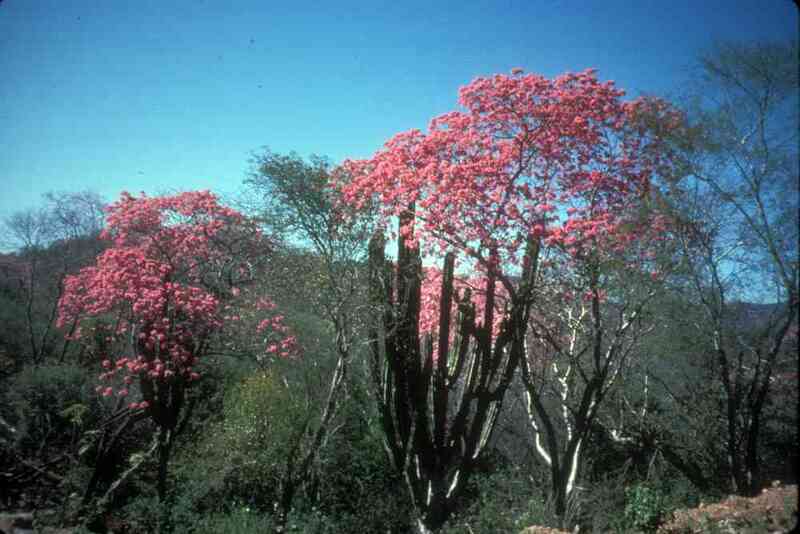 Amapa (Tabebuia impetiginosa). 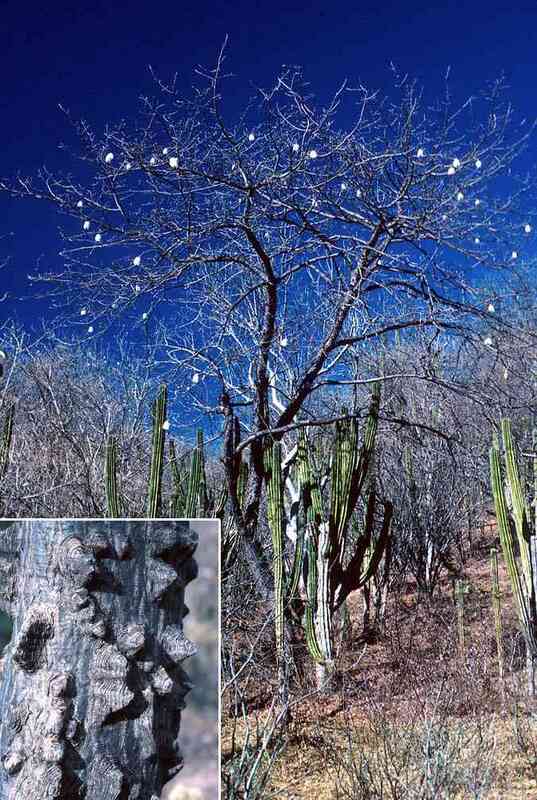 Winter-flowering tree syndrome. This species flowers after light winter rains between December and February. 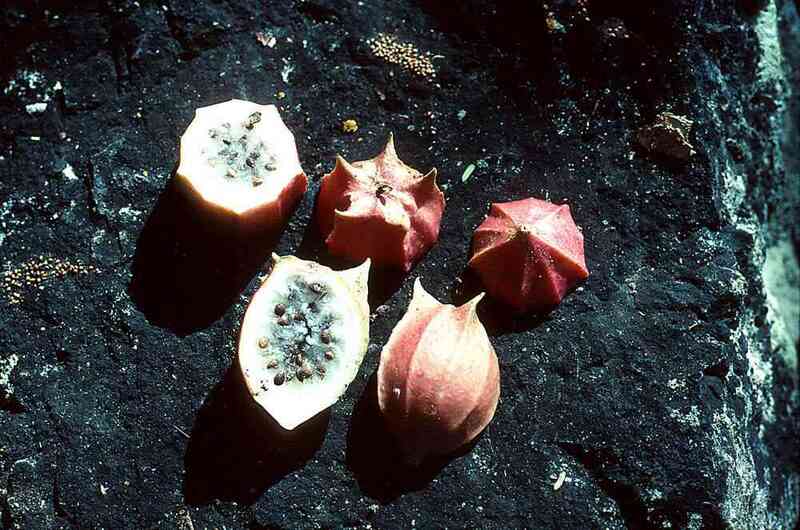 Pochote or kapok (Ceiba acuminata) in fruit. 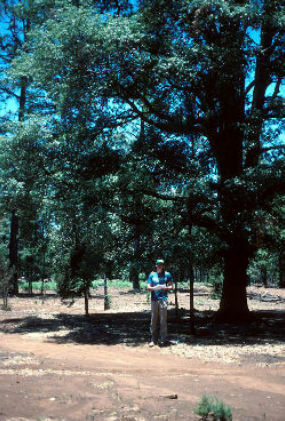 Inset shows bark. Palo mulato (Bursera grandifolia). 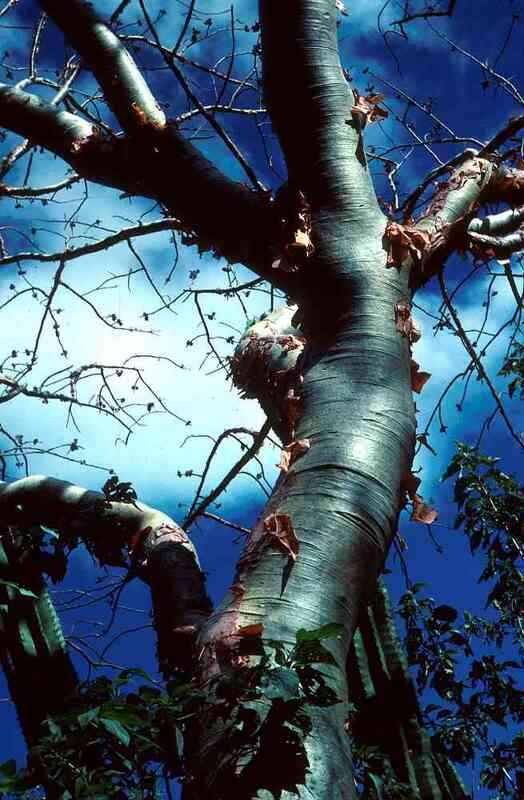 Important tropical deciduous forest tree. Reaching northern limits in the Yécora area. A tea made from the aromatic bark is used by the Pima Indians to relieve chest pains and by the Mayo for asthma. 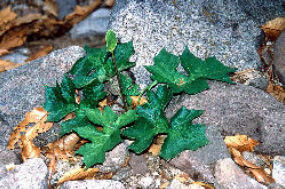 Baiburilla (Dorstenia drakena, often misspelled drakeana). 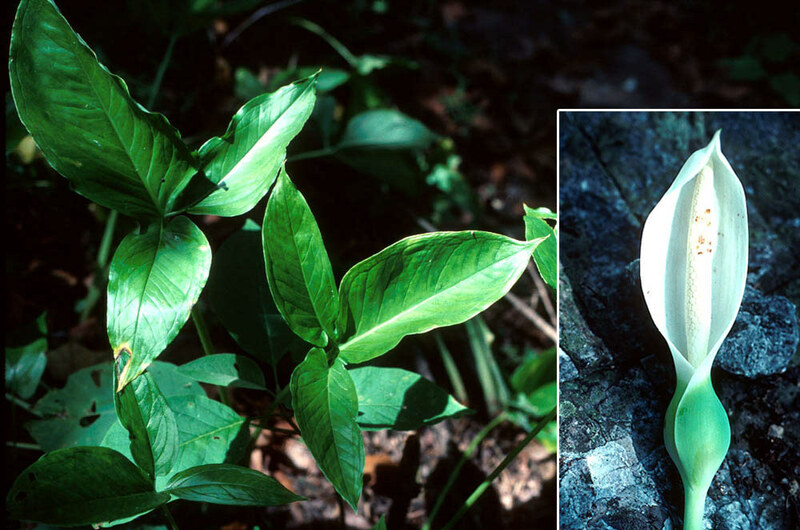 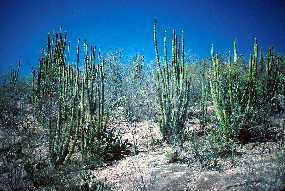 A tea made from the root is used by the Pima Indians for toothaches. Chócola (Jarilla chocola). Herbaceous perennial in the papaya family. 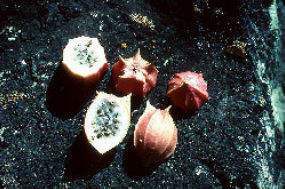 The plant resembles an 8"tall papaya tree and bears these 1" fruits along the stem. 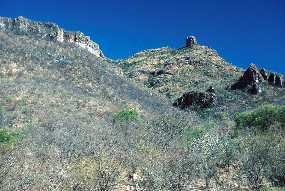 Gossan at Agua Amarilla. 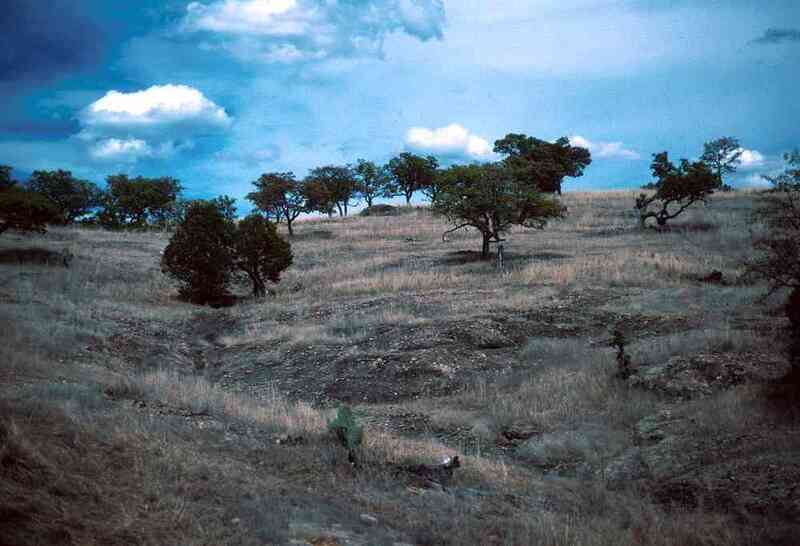 The hydrothermally-altered soils are very acidic with pH as low as 4. 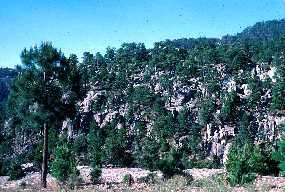 Oaks and pines grow in these soils where tropical deciduous forest trees would be normal for this elevation. 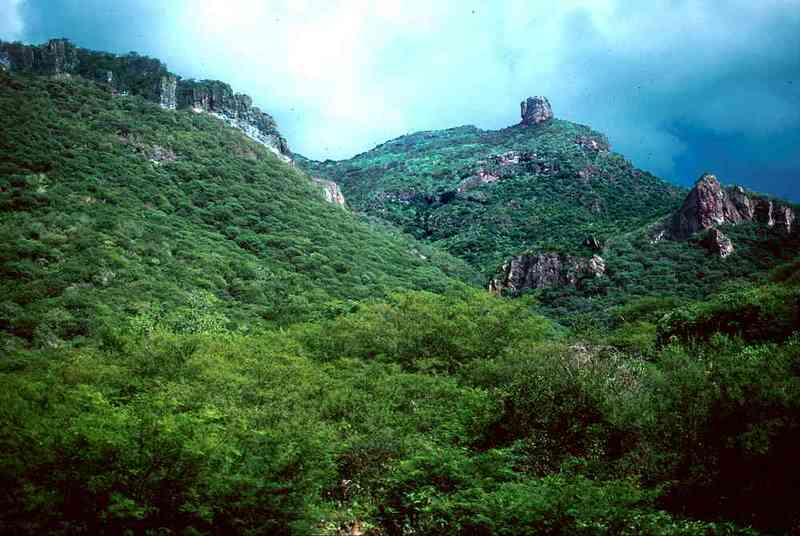 In some areas between Yécora and Maycoba, grassland is present with scattered oaks. 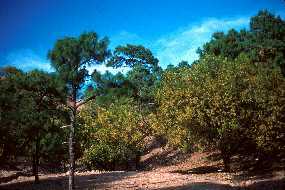 Oak woodland mosaic with pine-oak forest at higher elevations. 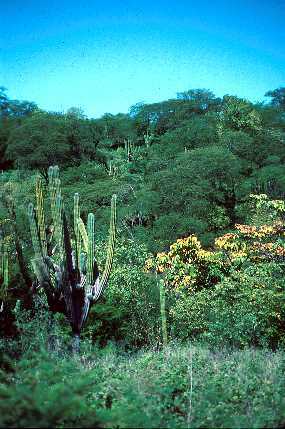 Tropical deciduous forest at La Pirinola northwest of Tepoca on MEX 16. 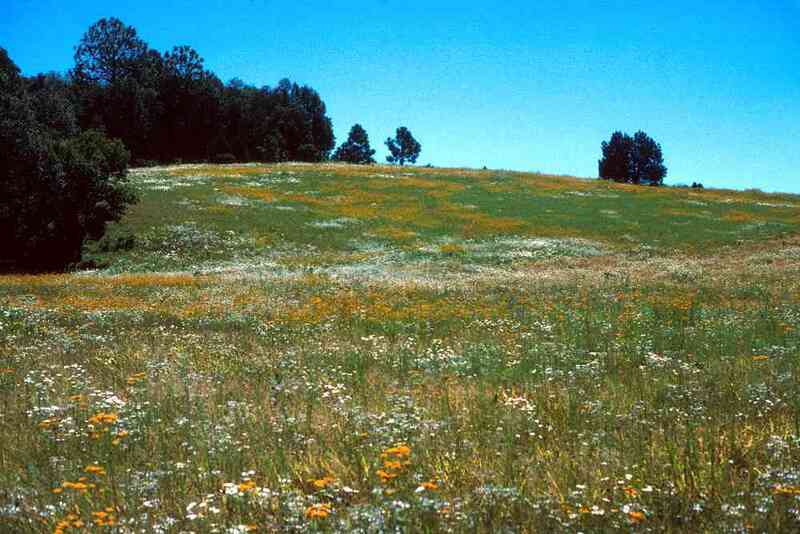 Same location photographed during wet and dry seasons. 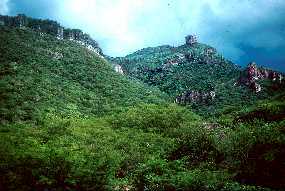 On the west slopes near the point, tropical deciduous forest reaches its upper elevational limit at about 1100 m elevation. There are 14 species of oaks in the Municipio de Yécora. 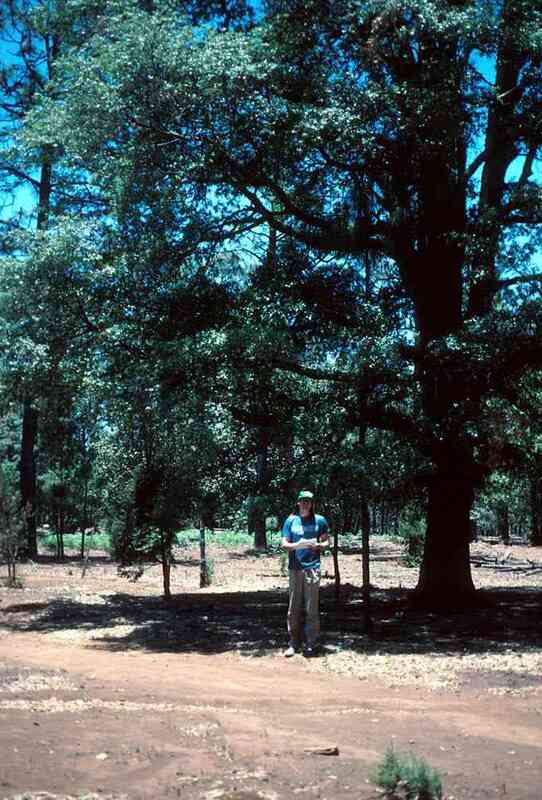 This oak (cusi barril, Quercus durifolia) with its dark bark and small bicolored leaves is a common species in the Sierra. 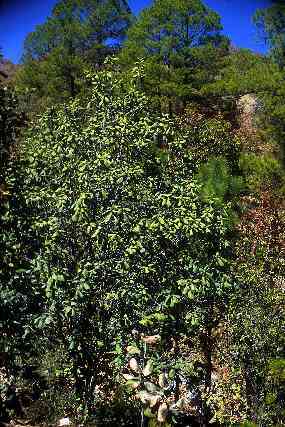 Victor Steinman serves as an almost 2 meter scale. 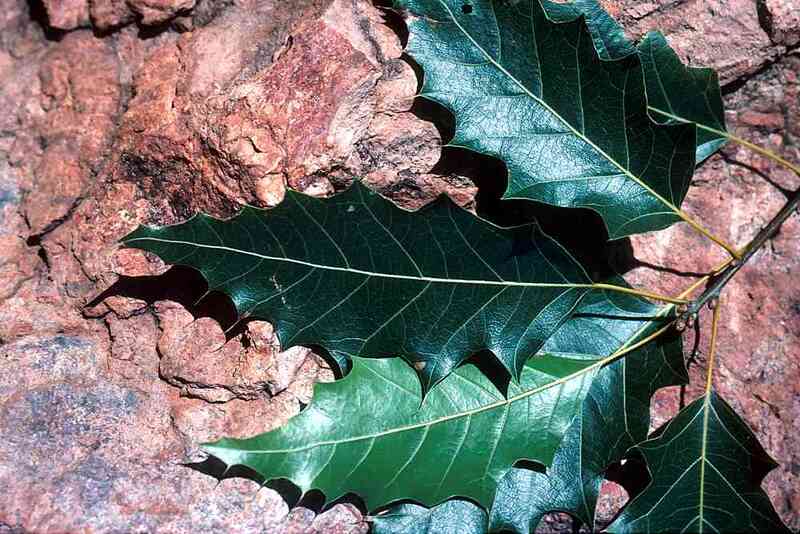 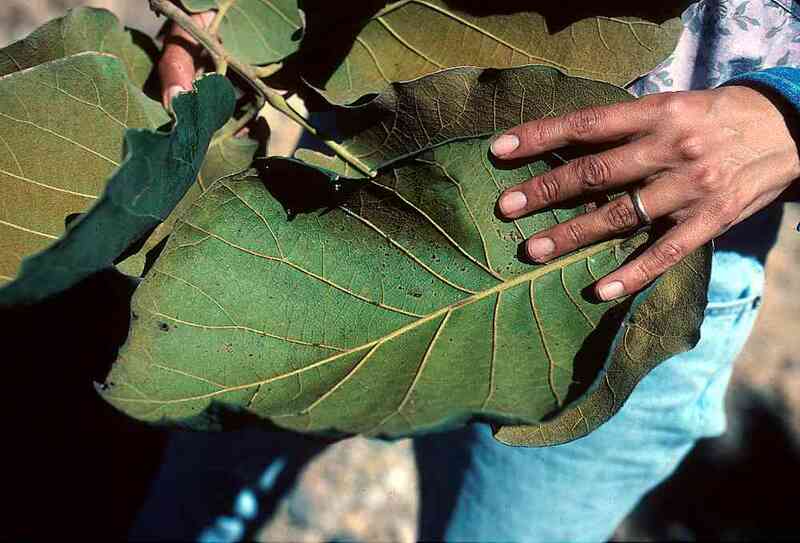 Hueja or handbasin oak (Quercus tarahumara) has the largest leaves of the Madrean oaks. Pine-oak forests grow in wetter areas in the Yécora region. 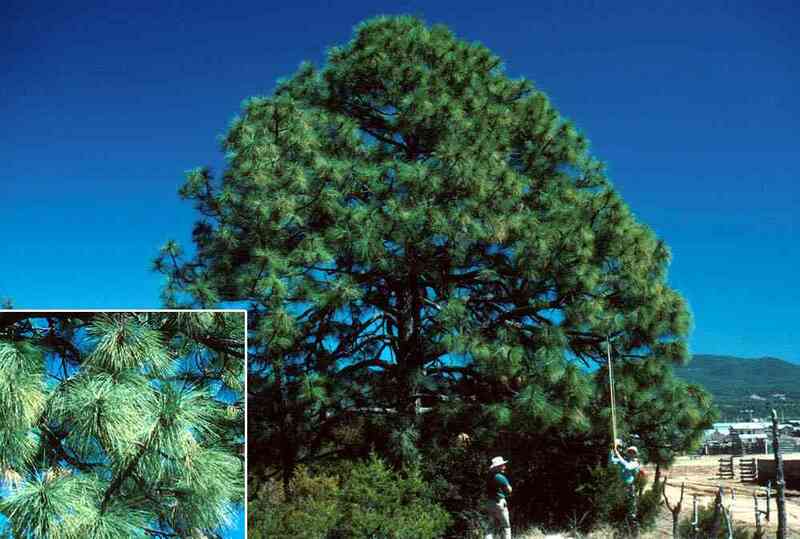 Eleven species of pine are present in the Municipio de Yécora. 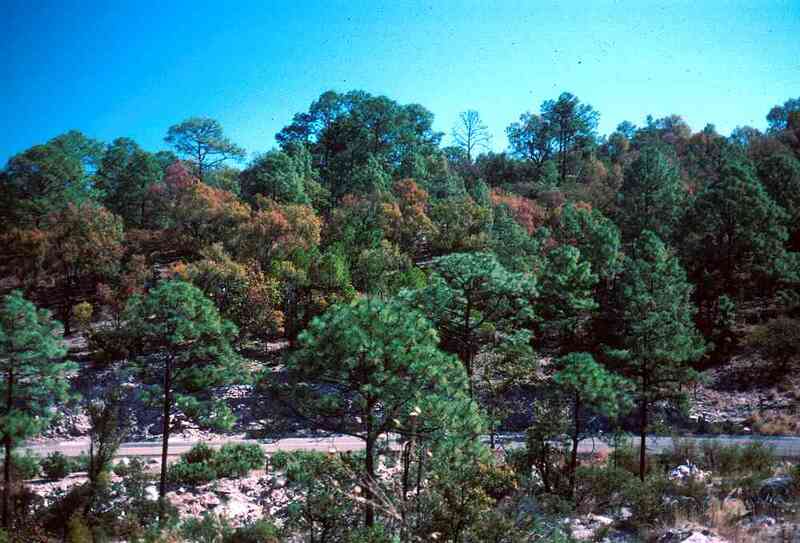 The rust-colored trees are dying from two years of drought. 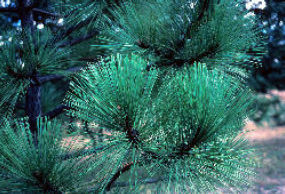 Apache pine (Pinus engelmannii) with its three long needles per bundle and thick branches is the most common pine in the forest. 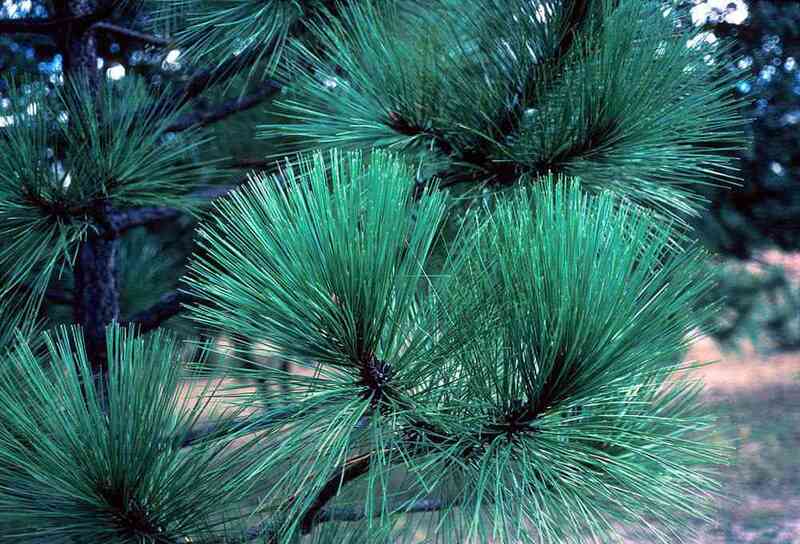 The Yécora pine (Pinus yecorensis) with five slender needles per bundle is locally common in the forest. 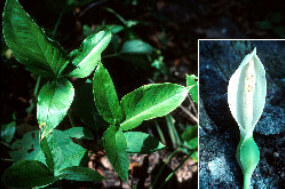 It was described as a new species only in 1995. 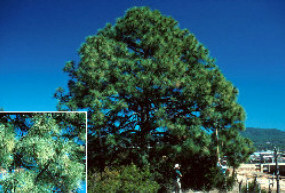 Two species of madroño are present in the pine-oak forest. 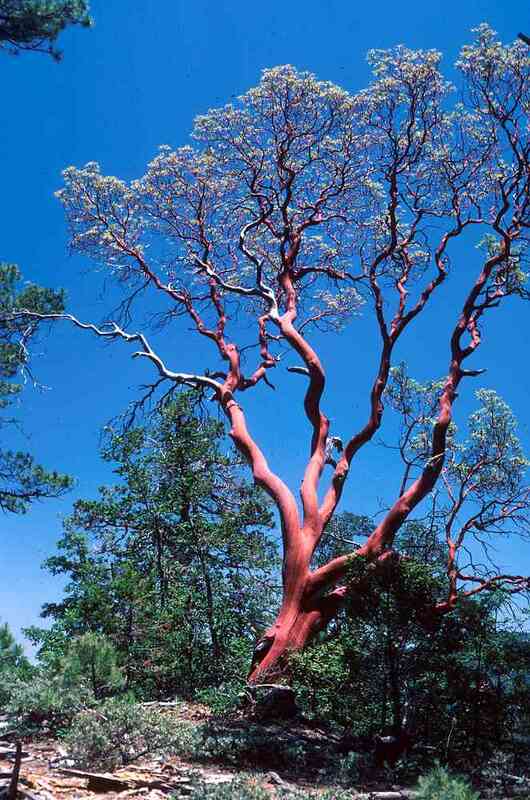 This Arbutus xalapensis has a bright red smooth bark while the other species has checkered, oak-like bark (A. arizonica). 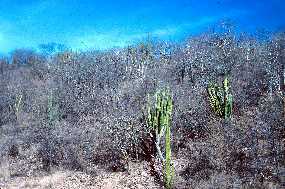 This is a unique woodland on a white, volcanic ash deposit east of Maycoba. 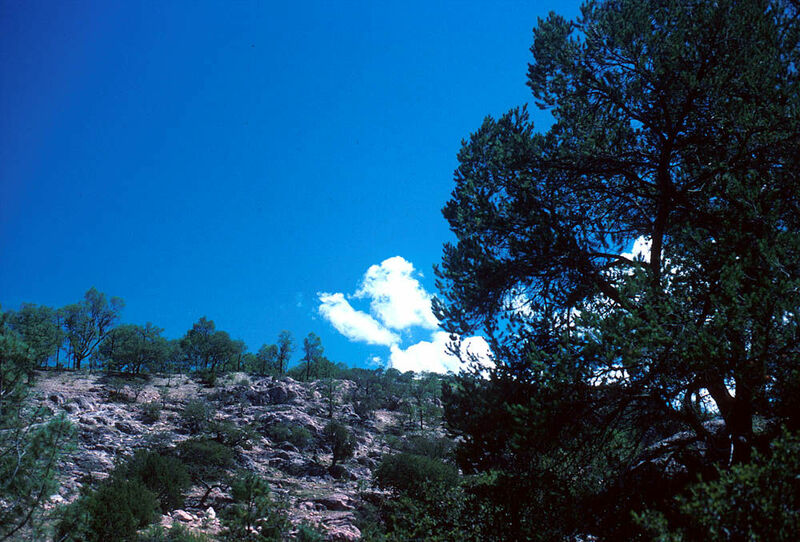 Border pinyon (Pinus discolor) is at its southern range limit while Durango juniper (Juniperus durangensis) is near its northwestern distributional limit. 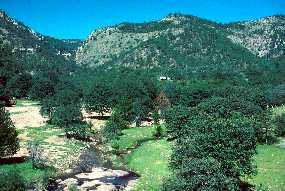 To the east in Chihuahua the pine-oak forest changes as elevation increases. 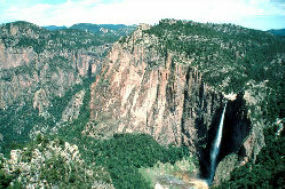 The 246-meter waterfall at the Cascada de Basaseachi is in a Mexican National Park. 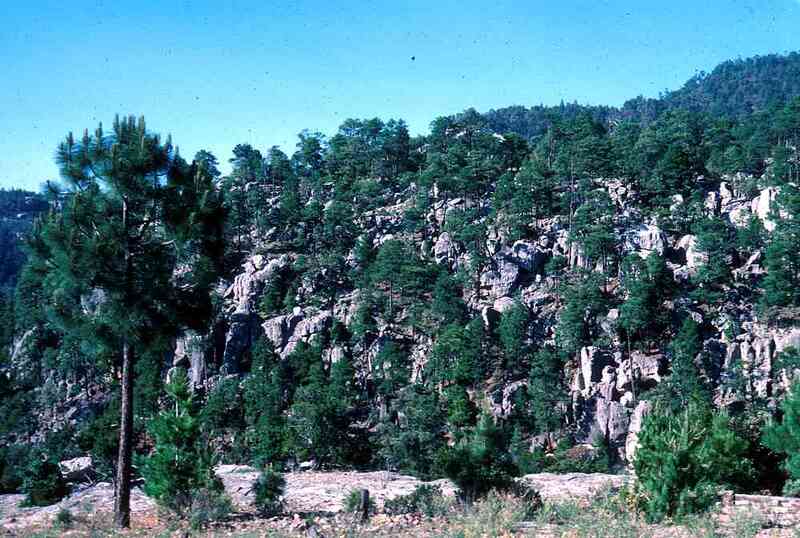 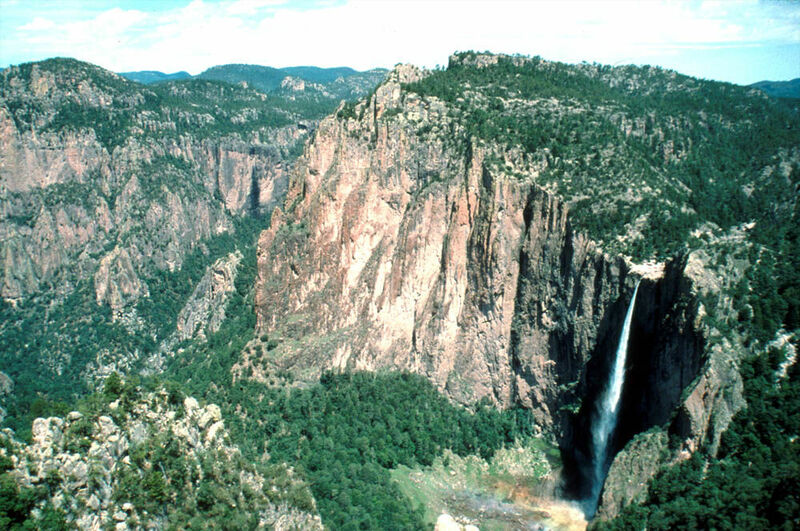 The massive volcanic ash cliffs are dramatic evidence of the huge Oligocene and Miocene andesite eruptions that formed the Sierra Madre Occidental. Grasslands in the Yécora area.